There are plenty of myths out there, Pilates is no exception. I have had many clients over the years express a sense of relief when they realized the preconceived myths have been busted. With almost everything out there, there are myths. 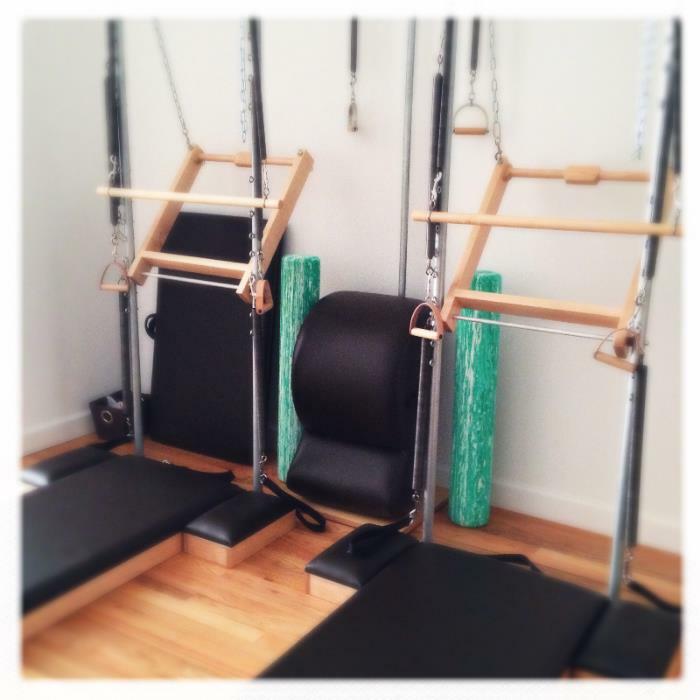 I would like to clarify a few common ones for Pilates. Pilates originated with mat work. 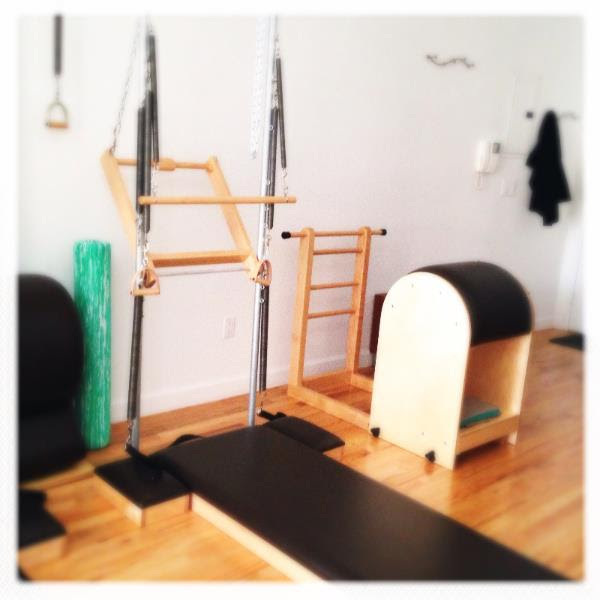 However, Joseph Pilates realized that not everyone could do the mat work so he created springs. The leg springs on the cadillac were created for those in hospital camps who were unable to get out of bed but were able to move their legs with the support of the springs. The reformer, chair and other apparatus followed. When studying Pilates, you work your primary powerhouse - the pelvic floor, then your secondary powerhouse - the shoulder girdle and then your limps. Though challenging to coordinate all these moving parts, the goal is to work every part of your body during every exercise. Reality is that it takes years to do and one continuously tries to work towards that, which in turn, keeps Pilates interesting. You don’t always have to seek new exercises to find a challenge. Sometimes the most basic exercises prove the most effective. Not every exercise is for everyone but it is important to have a fully certified instructor who determines which exercises are the most helpful. Depending if one has any issues, a private Pilates session may be more appropriate than a group session. Always discuss this with your teacher first. 4. Pilates is not just for dancers. Many dancers went to Joseph Pilates’ studio and his principal student, Romana Kryzanowska, kept Pilates alive after Joseph and Clara Pilates passed away, was a dancer. The reputation has been that it is for dancers only because there were many dancers who practiced Pilates, that does not mean that Pilates is solely intended for dancers. Joseph Pilates created Pilates, which was originally Controlgoy, in order to help people with physical rehabilitation. The foundation of Pilates is to rehab the body so that you can enjoy life and the activities that they love the most, whether it be dancing, golfing, boxing, hiking, running, surfing, etc or even just living. 5. Pilates was not created by a dancer or a woman. It was created by a man named Joseph Pilates. Pilates or Contrology, was created by Joseph Pilates in the 1930s. He created mat exercises showcased in his book, “Return to Life Through Contrology”, published in 1945. During World War II, he created the cadillac which came from a hospital bed. Joseph Pilates created reformers, chairs, barrels, beds, combo apparatus and other small pieces like the magic circles, foot correctors, toe correctors, sand bags, etc. He was a very innovative creator. He took parts of his method from Yoga, boxing, fencing, the circus, etc and would individualize exercises fro the body. Pilates created a combination of exercises that allows you to create strength for your muscles and bones but add flexibility at the same time. "Contrology", "Joseph Pilates", "apparatus", "bones", "boxing", "cadillac", "core", "dancers", "elderly", "flexibilty", "golfing", "injured", "men", "myths", "pelvic floor", "physical rehabilitation", "pilates", "running", "shoulder girdle", "women"
Two young Pilates devotees, both with a spiritual, mind-body edge in common, have recently opened studios in uptown Manhattan, with Westside Pilates launching in fall of 2013 on the Upper West Side followed by Kevyn Zeller Pilates on the Upper East last month. Westside Pilates was founded by 28-year-old Adrianne Yurgosky, who’s been teaching for seven years, trained at Power Pilates, and New York Pilates Studio with Brett Howard. She’s also an Institute of Integrative Nutrition-educated holistic health coach. 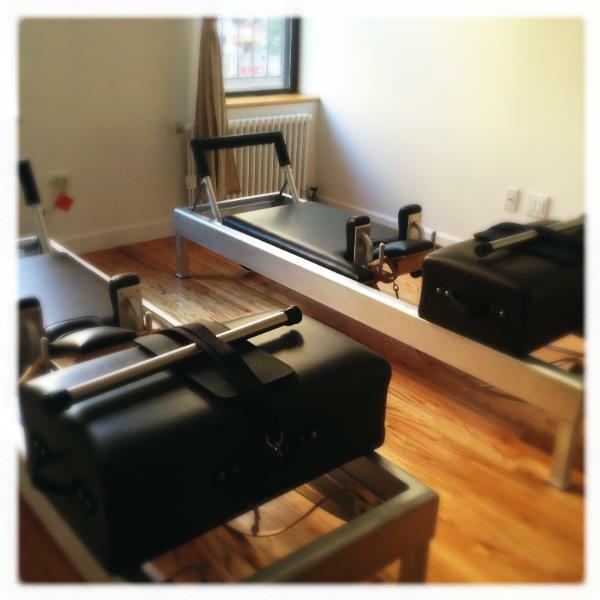 Her studio offers one-on-one and duo 55-minute classes in Reformer, chair, towers, at a modest price of $90 and $60. Health Fair at the Vitamin Shoppe on 92nd and Broadway! Inspiring new collections launch each month, delivering fresh, on-trend outfits you'll love. VIP members can purchase many outfits starting at just $49.95. That's a top and bottom for up to 40% less than you'd pay if you bought them separately. "Adrianne Yurgosky", "Fabletics master", "Fabletics", "openings", "pilates", "studios", "well+Good"
GoRecess Featured Adrianne's Recipe: Steel Cut Oats! 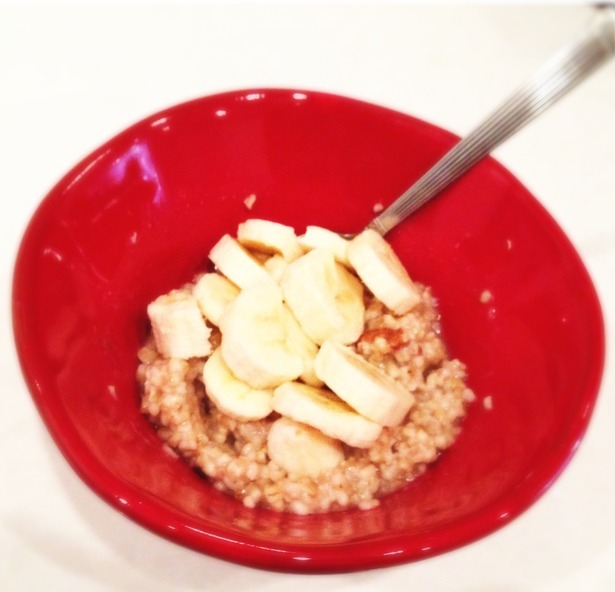 There are many different ways to make steel cut oats, but Adrianne Yurgosky, owner of Westside Pilates in NYC, brings us this speedy method that tastes delicious and is gluten free! Since steel cut oats take time to make on the stove (about 45 minutes), Adrianne recommends doing the prep work the night before. Once the water is boiling, turn the heat off and stir in 1 cup of steel cut oats for 1 minute. Cover the pot and refrigerate overnight. Turn the stovetop on medium heat and cook for 10 minutes, stirring occasionally. Stir it all up and then cut a banana into slices and place on top (half of a banana works well too). Serve and enjoy! Adrianne Yurgosky is a professional Pilates instructor and the owner of Westside Pilates on the Upper West Side of Manhattan. She is certified through Power Pilates in New York City after completing 600+ hours of study under Bob Liekens, Junghee Won and Susan Moran. Her second certification comes from The Pilates Studio with Sean Gallagher and Brett Howard and she recently completed her Pilates Method Alliance certification in August 2013. Adrianne is dedicated to inspiring people towards better health and wellness through Pilates and works with a wide variety of clients including athletes, people struggling with physical ailments such as low back pain and other chronic conditions as well as those dealing with specific and general areas of tightness in the body. Adrianne is also a holistic health counselor, certified through the Institute of Integrative Nutrition. "Adrianne Yurgosky", "GoRecess", "Westside pilates", "bananas", "breakfast", "recipe", "steel cut oats"
Check out my latest blog post on the Fabletics Website! 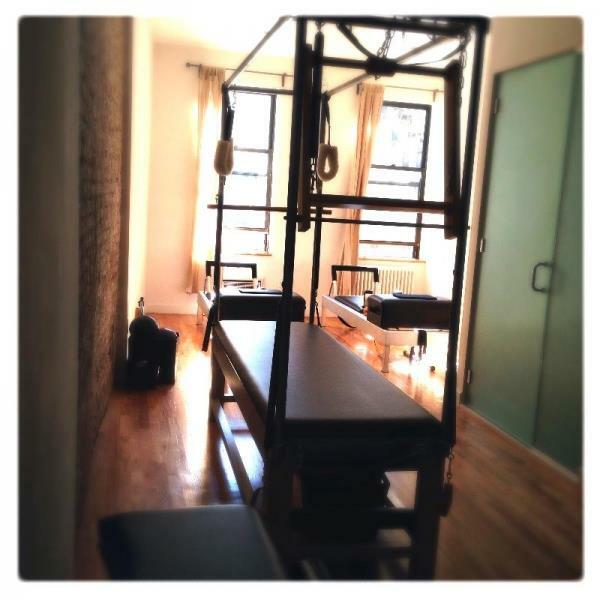 I am always giving homework to my pilates clients; I find it important to enforce the practices that we learn in class. Especially if you are new to pilates, the exercises you do at home should be simple, safe and have layers (modifications and challenges) depending on how your body feels that day. Here are 3 exercises that I give as homework to help with abs, posture and balance that can be done everyday. Attention: Keep your heels together! "abs", "balance", "heel lifts", "lower life", "pilates", "posture", "serratus push-ups"
Happy Holidays from Westside Pilates! 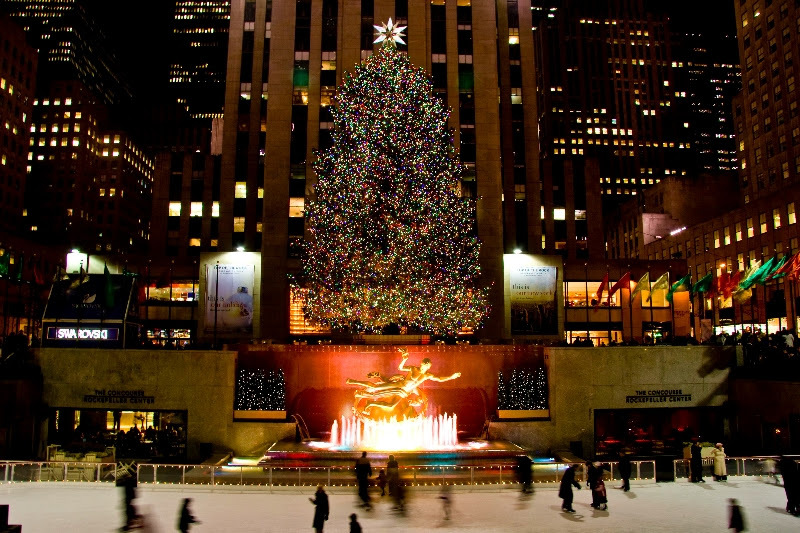 Can you guess where these trees are in New York City? Adrianne Yurgosky has joined the Fabletics team! 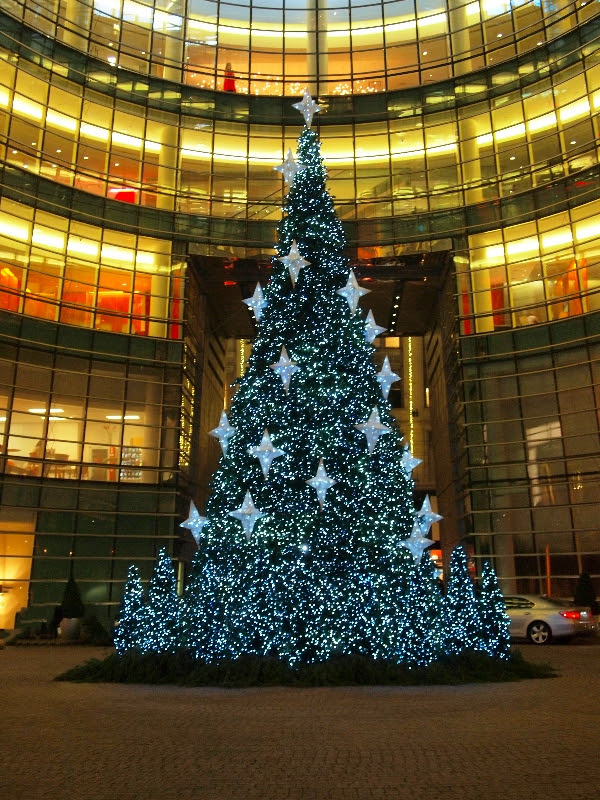 "Adrianne Yurgosky", "Fabletics master", "Fabletics", "Happy Holidays", "new york city", "open house"
There have been several instances in my life where knowing my limits has been tested. I am sure that everyone has different opinions about it and everyone is entitled to their own opinion therefore I am going to give mine. There is a fine line between pushing yourself (or letting others push you) and hurting yourself. I enjoy being pushed, I enjoy the extended stretch and the very deep massages. However there have definitely been times in my life when I have pushed it too far and I regret it the next day (and sometimes even the next week!). Looking back at most situations, I could see where the situation went wrong. There is a difference between working hard and pain. One needs to learn that difference for themselves. It is something learned and unfortunately it has to be learned by the individual. I do not know how the other person's body actually feels, I know how mine has felt and I have experienced many types of issues which I try to empathize with but I am not in the other persons body therefore I cannot have a 100% understanding but I hope to have a 95%. I "injured" my back in 2005, that's when my disc tore (I heard it) and the disc bulged as a result I developed sciatic pain. In 2007, I developed a chronic pain and had to go to physical therapy from sitting at my corporate job. In 2009, I could barely walk due to a flare up from standing too much during the day. 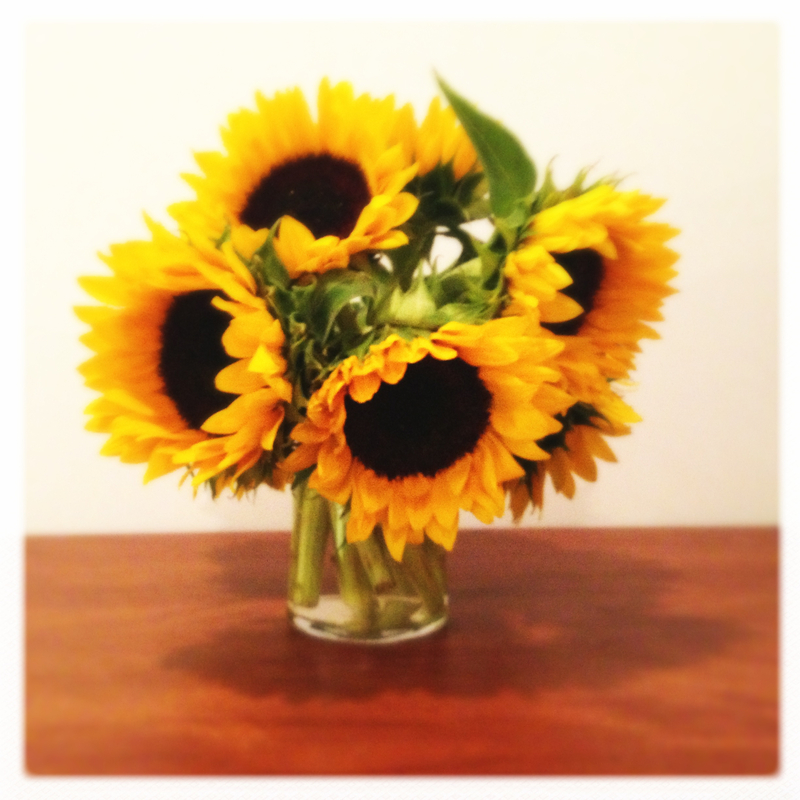 In 2011, minor flares which put me back on anti-inflammatories. Beginning of 2012, I got a massage and she irritated my L4 nerve which put my back into spasm and I couldn't walk for 2 days. Yes, my injury is old but when looking at my history, it is recent due to the inability to walk and my chronic pain. So the question becomes... Should I push through? I do not think I should push through to discomfort. The discomfort is a preliminary sign for me that I will have pain. Our body like to give us warning signs and that is mine. Do you know yours? I believe you need to follow your gut feeling, if something feels off, it probably is! Never let someone force you into something you do not feel comfortable doing! "bulging disc", "chronic pain", "nerve", "pain", "physical therapy", "pilates", "scoliosis", "testing the limits", "tight", "torn disc", "yoga"
Fat Girls Diets... Seriously... I had to do take a double take! Last weekend, while I was at an antique store, I came across The Workbasket and Home Arts Magazine from April 1968. I flipped through the pages and landed on page 27. If this were written today I don't think it would be published. I did a google search for Ruth Pfahler. One can still find some of her pamphlets on Amazon: Special Diet for Fat Hips and Thighs. I wonder what she is up to now. How do you think we have changed as a society regarding diets? And do you think it is appropriate to call these diets, Fat Girls Diets? "Ruth Pfahler", "fat girls diets", "hips and thighs", "workbasket magazine"
So Excited to be a Part of Fabletics! I am so excited to announce that I will be joining the Fabletics team as a Fabletics Master. I have been on a search for a new clothing company, one that I can actually wear their clothing for 12-14 hours a day and not end up with red skin by the time I get home. Well, I have finally found that! I decided to test out the clothing before going any further (an outfit is only $49.95 + free shipping!!). For me, the tops are very important. It is so hard for me to find a bra or bra top that I can wear for the ENTIRE day. My favorite is the Doon Sports Bra. I am hooked! 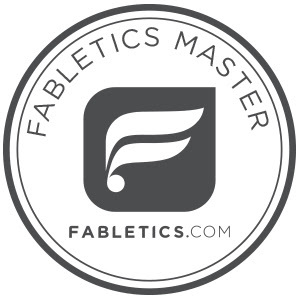 "Fabletics master", "Fabletics", "awesome clothing", "clothing", "doon sports bra", "sports bra", "workout clothing"
"One leg pulls ups", "Westside pilates", "adrianne", "chair", "leg springs in the air", "leg springs", "pilates equipment", "pilates", "reverse swan", "swan dive", "swan", "teaser", "thigh stretch", "tower unit"
"Westside pilates", "ladder barrel", "men", "pilates", "proud", "swan on the ladder barrel", "swan"
for the past 5 years and it has finally become a reality. I am officially open for business so book your session today! be interested, please forward them this email. Adrianne Yurgosky received her Pilates instruction certification through Power Pilates in New York City, completing 600+ hours of study under Bob Liekens, Junghee Won, and Susan Moran. Adrianne received her 2nd certification through The Pilates Studio with Sean Gallagher and Brett Howard. She recently completed her Pilates Method Alliance certification in August 2013. Adrianne was a college athlete who was a member of her school’s field hockey and swim teams. She first turned to Pilates in an effort to manage a painful case of sciatica. Because of her personal experience with Pilates as a method of pain management, Adrianne is able to bring exceptional insight into her work with athletes, individuals with lower back pain, and those with both specific and general areas of tightness. She gains inspiration when she is able to help her clients build the strength and understanding to achieve body movements that once seemed impossible. In addition to her Pilates instruction, Adrianne is also a holistic health counselor, certified through the Institute of Integrative Nutrition as well as the American Association of Drugless Practitioners (AADP). Adrianne graduated from Fordham University with a bachelor's degree in international political science and French literature. 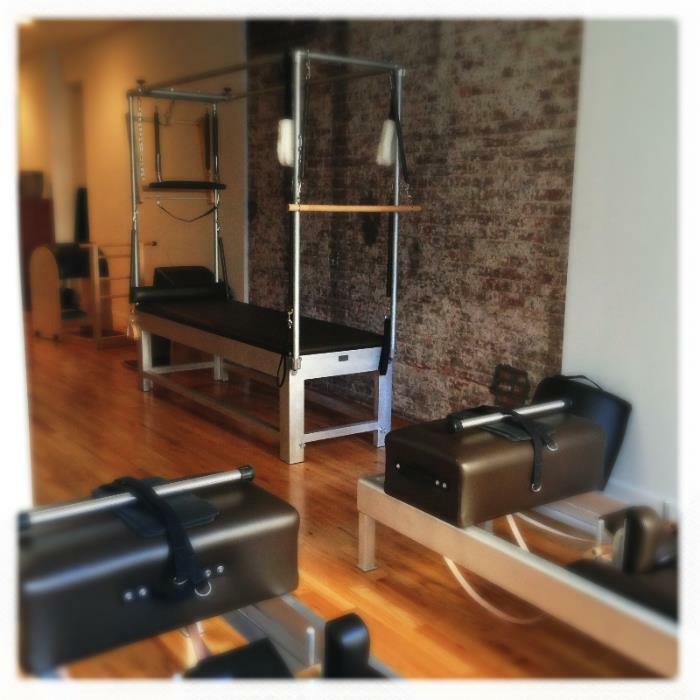 "91st", "Adrianne Yurgosky", "Westside pilates", "broadway", "lower back pain", "nyc", "sciatica"
I am so excited to announce the opening of Westside Pilates this fall 2013 (exact date to be determined in August). It has been 3 years in the making and just when I thought my dream of having a studio was crushed, it has come alive again. I am so grateful to those people who have helped me through this process. It makes me realize that one should never give up on their dream and there are always people who will support your dream in many different ways. So... THANK YOU to everyone who has helped and stay turned for the exact date opening! "Westside pilates", "fall 2013", "opening", "pilates", "support", "thank you"